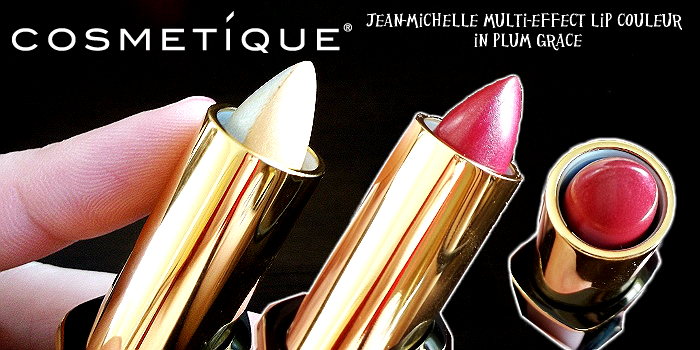 *** I was provided with samples from the Jean-Michelle Cosmetique collection for the purposes of this feature. All photos contained below are copyright Momma Told Me Blog 2013. Momma Told Me: A lady turns heads no matter the time of year. One thing we often forget to associate with the changing of seasons, Fall to Winter, is style. But the simple truth is you don't have to put down that slice of pumpkin pie, or feel shame over your 'sweater body,' you can still be glamorous right through to the new year. And glamorous is precisely the word for this time of year. Sleigh bells ring, couples cuddle by a fireplace, and champagne glasses clink over genuine toasts- if there's any time of year that quite literally sparkles, it's the holiday season. So, while you're rushing all over town and tearing that last Tickle Me Elmo in half on Aisle 9, don't forget to look fabulous while doing it! Yes, it's 2013, and most of the romantic balls are reserved for military personnel, but that doesn't mean you can't turn heads in a little black dress with some tussled curls. Winter is a season of romance and it's easy to look smoldering with the right ammunition in your bag. I won't lie, there are lots of cosmetic brands in my makeup bag. There is no one lip, eye, or face product that I feel I can use day in and out to complete every look. And not every brand offers the right amount of coverage, easy removal, or blending I may need for any particular look. That is to say, honestly, I don't have a favorite brand of makeup. I do, however, have a trusted arsenal of brands I know I can count on for quality products that are gentle on my skin, but long lasting enough to be worn all day. Cosmetique, originally a catalog brand, is one of them. With over 7 in house brands, and countless outside vendors, I love popping into the Cosmetique online boutique to discover premium labels with the season's hottest hues. Best of all, each label is a unique collection with it's own thematic twists. And, the company was originally began with a strict commitment to quality, that dictated only products the creators themselves would wear, should be sold. The French inspired Jean-Michelle collection is no exception to this rule most known for it's high quality formulas that blend flawlessly and wear all day. I've been wearing this brand for almost 5 years now and can vouch for almost every palette in it. I was recently sent 3 newer products to try; Luisant Nail Enamel in Cabaret, Multi-Effect Lip Couleur in Plum Grace, and Eyeshadow Trio in Rose Fresque. The Eyeshadow Trio is packaged in a beautiful black compact with 2 applicators too allow for highlights along the cheeks as well as the eyes. 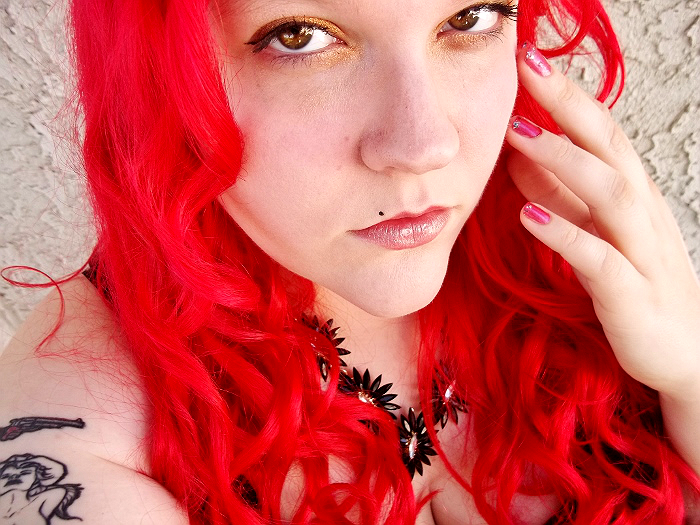 Unfortunately, having recently gone, temporarily, Red Bombshell, the lilac hues were complimentary to my fair complexion, and hazel eyes, but not my hair. For my look featured here I used Jean-Michelle's Quartette Lumineux Eyeshadow with layered coppers and burgundy browns to accent edges and creases. For my lips I used the soft, dual-sided, blendable Jean-Michelle Multi-Effect Lip Color in Plum Grace. With a primary long wearing lip color of a light rosy hue, and a flipside that added golden shimmer and sheen, this lip color was the perfect accent to my holiday look. Not only was the silky soft wear long lasting through meals and more, but the lightweight formula easily layered beneath a gloss for a more dramatic impact as well. 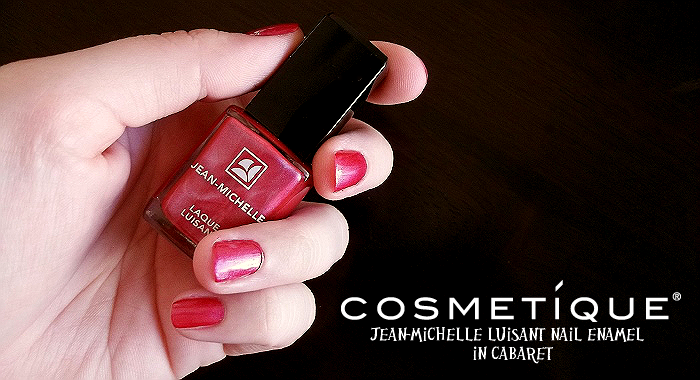 I finished my nails with a color coat of the ship resistant Luisant Nail Enamel in Cabaret. Appropriately names, this hue was a pink toned burgundy that went on strong in a single coat and dried quickly. I capped my tips with a clear sparkle base, then finished with a top coat for hostess-ready nails that would have me serving my guests in style. 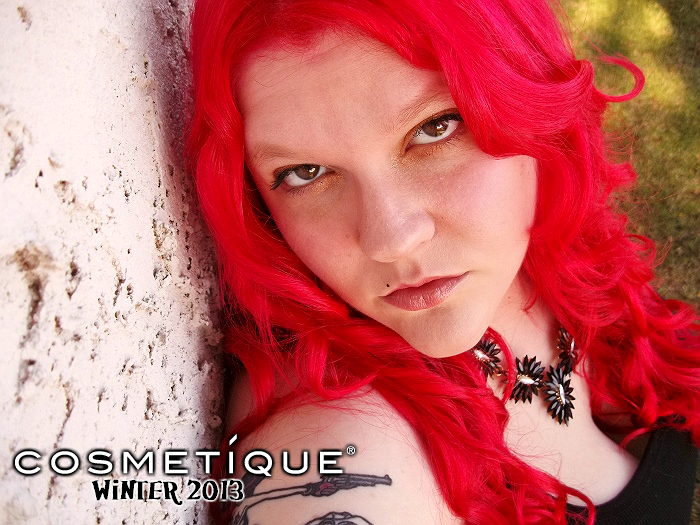 Whether you're hoping to catch Prince Charming's eye over the cocktail weenies at your office Christmas party, or simply trying to pull off that flawless look between turkey timers, Cosmetique has the perfect collection for your holiday looks. Their premium brands and constant color innovation mean an ever evolving palette of hues in long wearing products that delight any cosmetics addict. Shop their online catalog today for a bundled gift set, stocking stuffers, or a simple treat for yourself. What Daughter Says: Trust the brand worn by thousands of it's employees, Cosmetique, for flawless holiday beauty. One Momma Told Me reader will win the same 3 Jean-Michelle Cosmetique products featured above! Please be sure to check out the Event Giveaway LINKY for ALL the Christmas Wishes giveaways! Naturals Polishing Up Rejuvenating Exfoliator! I would love to try the Quartette Lunineux eye shadow set. Such pretty colors. Love this set of pictures! Beautiful! I'd like to try the Jean-Michelle mascara. Balancing Toner with Bee Pollen. 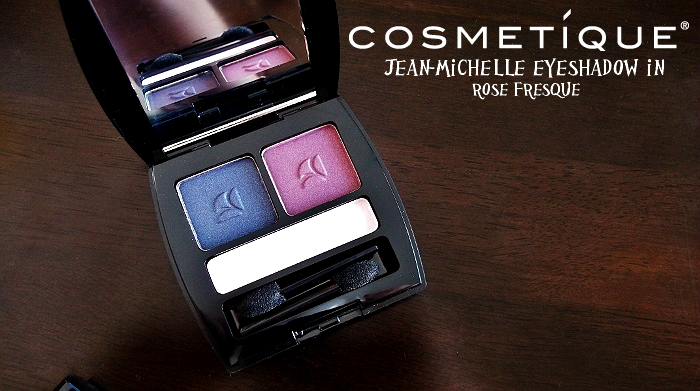 The Satine Finish Collection sounds nice! I'd like to try the Cadette Aloe Active Face Smoother. I want to try the Sistina body lotion. SISTINA Lipcolor Lustro. I'm a sucker for lip gloss. Easy Color Nail Enamel in coral! I need to be using the Act 3 Fountain of Youth Skin Rejuvenating Moisture Cream. I would like to try the Madeleine Mono Viva Diva Eyeshadow Collection. Thanks for the great giveaway opportunity. Keep up the terrific blogging. I would also like the R1-Viva Diva Eyeshadow Collection.